In a span of 27 years, I’ve seen Salt Lake City’s leading sports and entertainment venue undergo three name changes. In 1991, it opened as the Delta Center— the only name that’s ever really stuck with me. In 2006, it was became the Energy Solutions Arena, named for a company that processes nuclear waste. It was a relief, then, when home-security-provider Vivint Smart Home took over the naming rights in 2015. 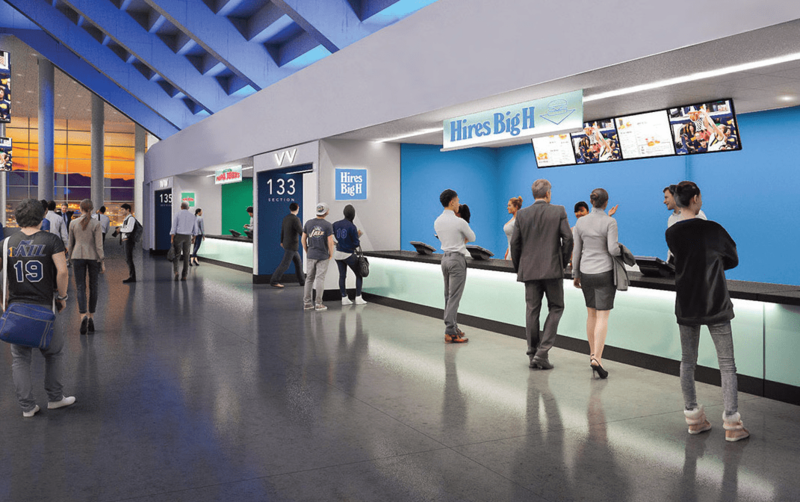 This past fall, as part of Vivint’s “Arena Rising” campaign, major improvements were unveiled to patrons, ushering in a new era for sports and entertainment fans. 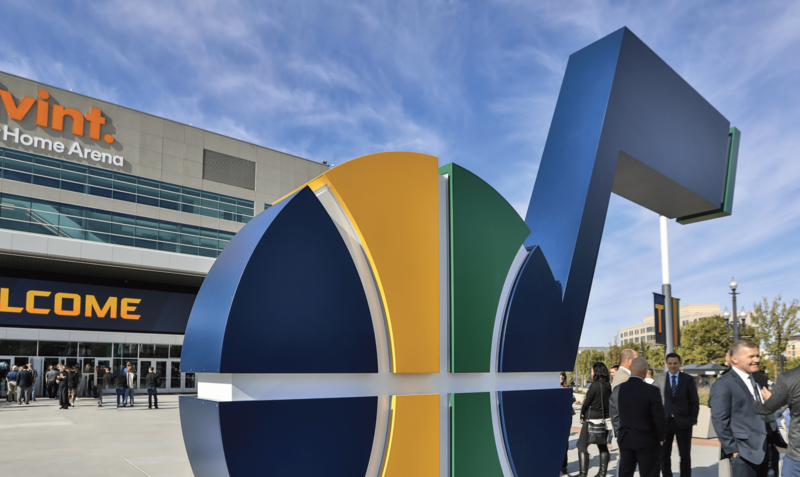 The $125 million upgrade includes a new feature welcoming Utah Jazz fans outside the arena on the plaza. The massive green, blue and gold J-note (photo above) is worthy of a selfie and post on Instagram. 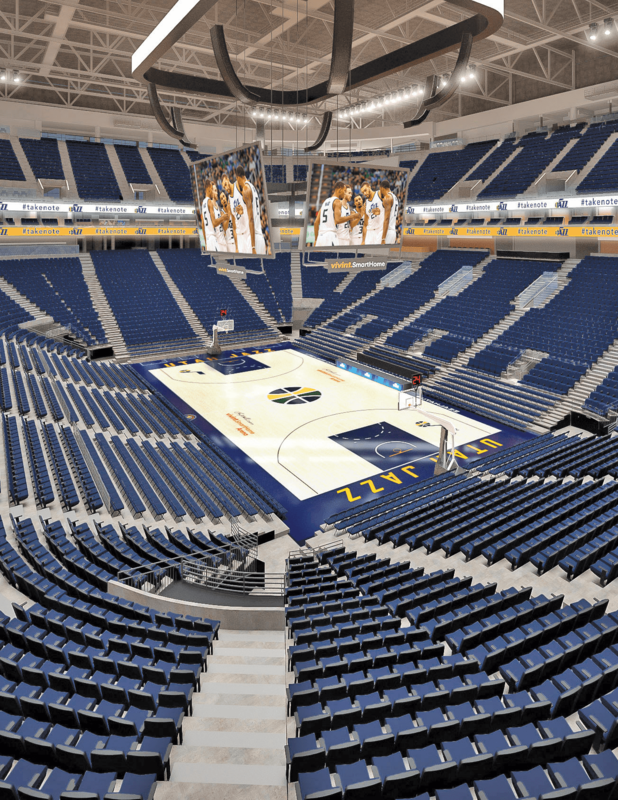 Along with the cosmetic changes to the arena’s exterior, the arena’s interior has been completely renovated, as well. The uncomfortable green plastic seats on the upper and lower concourses have been replaced with cushioned chairs, and a Utah Jazz Team store featuring exclusive memorabilia and merchandise is now located in the lobby. But, for a foodie like myself, I’m especially excited about the lineup of quality food vendors, both new and old. 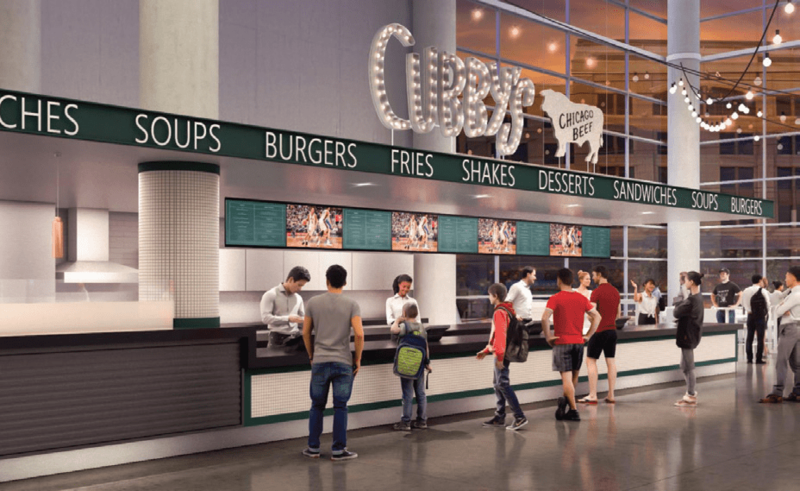 Returning to the arena are veterans and fan favorites such as Dippin Dots, Chick-fil-A, CupBop Korean barbecue, Zao Asian Café, Bon Bon and Grillworks. 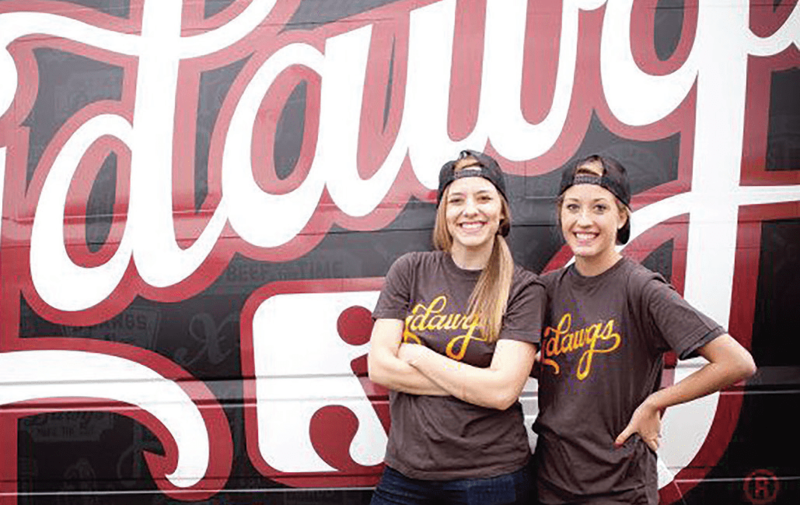 Some newcomers to the already star-studded restaurant lineup include R&R Barbecue, JDawgs, Hires Big H, Cubby’s, El Chubasco Mexican Grill, Maxwell’s and Thirst. There’s a lot to take in, but here’s a guide to taste test a few of the new vendors on game days. 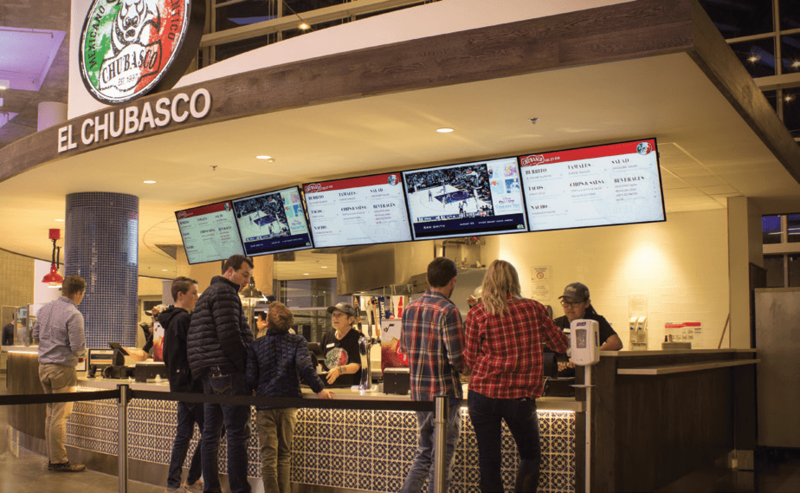 Get to the arena early and head to the upper bowl to make your first stop at Thirst (Portal NN, ThirstDrinks.com)—a local Utah hit that’s all about making a happy impact through delicious drinks and tasty treats. The Vivint location is the third installment of Thirst for upand- coming entrepreneur, Ethan Cisneros, who opened his first shop at 19 years of age. Build your own drink or choose from specials like the “Kick Back Rickey” (made with sprite, a hint of raspberry or grape, and lots of lime) or the “Yer Killin’ Me Smalls” (made with root beer, toasted marshmallow and vanilla cream). Their treats consist of yummy cookies for $1.50 each. Oh, and free popcorn, too. Just before top NBA center Rudy Gobert wins the opening tipoff of the game, make sure to stop by either Maxwell’s (Portal L, MaxwellsECE. com) or Hires Big H (Portal TT, HiresBigH. com). Maxwell’s is known for its handtossed pizzas at its downtown Salt Lake City and Park City locations. For nearly 60 years, Hires Big H has been a staple of Utah life and a classic Utah drive-in. It’s about time those fresh-cut fries, house-made onion rings and icecold root beers made their way to the arena for sports fans to enjoy. If you took too much time gawking over the arena and didn’t get a chance to grab some grub, JDawgs (Portal U, JDawgs.com) has got you covered if you can manage missing just a few minutes of the game. JDawgs offers all natural beef or Polish hot dogs with a housemade sauce, all served on fresh, locally made buns. Order the combo dawg, drink and chips combo for just $7 and head back to the game. 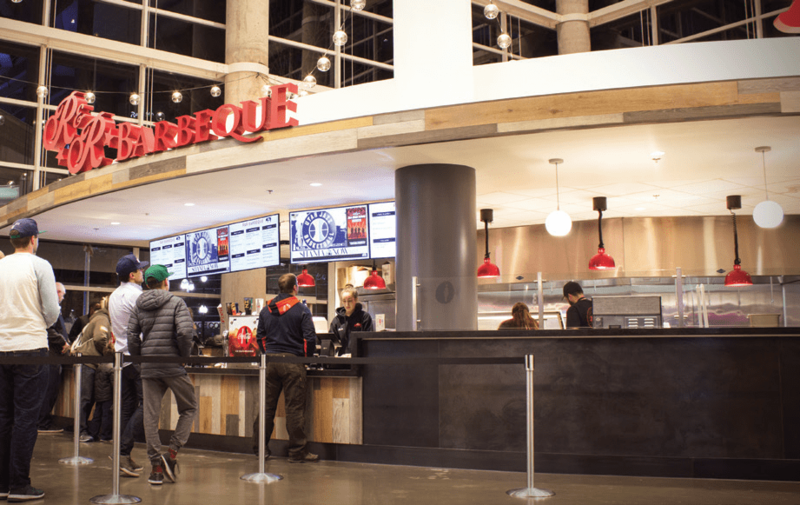 You’ll need some time to devour Utah’s best barbeque, and halftime is the perfect opportunity to do so. There’s plenty of good eats to choose from at R&R Barbeque (Portal D, RandRbbq.com) such as their pulled pork, brisket and spare ribs. Just make sure you wipe your hands after your meal if you want to purchase a jersey or T-shirt from that Utah Jazz Team Store. El Chubasco (Portal Y, ElChubascoMexicanGrill. com) is another quick eats, perfect for a bite in between quarters. You won’t be able to miss their large salsa bar or the serpentine line of customers eager to try the flavorful tacos and burritos. Again—grab, go and get back to the game. Once the game is over and the Jazz have clinched a win, finish the night at Cubby’s (Portal R, Cubbys.co) for gourmet burgers, sandwiches and salads. Cubby’s also offers up a friendly kids menu with fun options like T-Rex and the Franky Four Fingers. All kids’ options are served with a juice box and a bowl of fresh fruit. There’s nothing more refreshing than the Greek village salad: crisp cucumbers, tasty tomatoes, zesty peppers, onions and kalamata olives, all drizzled with olive oil and topped with oregano and feta cheese. But with the same ingredients (and any add-ons you desire), you can make that same salad more filling by adding orzo (manestra) to the mix. The Greek orzo salad becomes a memorable and flavorful meal. It’s easy to make. Just chop the vegetables smaller than you would for a regular Greek village salad, boil the orzo, then season, dress and toss. And go colorful with the vegetables because this dish can look like an artistic masterpiece with the right combinations. For example, I add cherry and golden tomatoes along with red, yellow, and orange mini peppers to create extra pops of color that are not only appealing to the eye, but the palette as well. Play around with what you like and make a Greek orzo salad masterpiece of your own. Just be sure to make plenty of it, because, trust me—it will disappear quickly. In a large pot, cook orzo according to package instructions. Rinse with cold water and drain the orzo. Add orzo to a large bowl. evenly mix in with the orzo. and Greek seasoning into a bowl and whisk together. adding more oregano or Greek seasoning if needed.